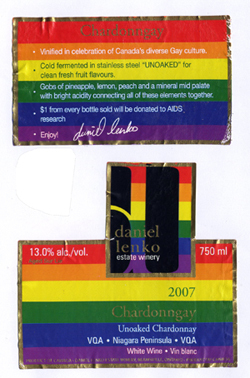 Niagara’s Daniel Lenko winery has released a special edition ‘Rainbow’ label of his 07 Unoaked Chardonnay $19.95 (called Chardonngay). 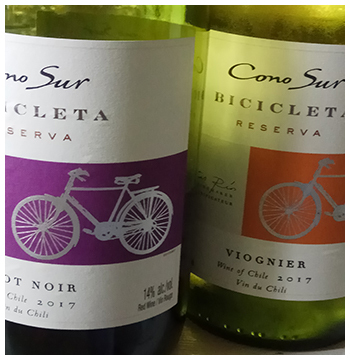 A great everyday white that spans the refreshment and easy sipping categories. A dollar from each bottle goes to AIDS research. The Lenko family were one of the first to plant vinifera grapes in Beamsville so all of their wines are full of character. And premium priced. Old Vines 06 Merlot $29.95 is rustic, earthy and very French Bistro. Two stunning whites are the exotic, powerfully flavoured 07 Gewurztraminer $29.95, and the rich and charming 07 Viognier $39.95. Next articleWe’re Coming to Wakefield! Alan Luke on Grab this White Wine! Alan Luke on Hello Pecorino!